Over a century ago, with the progressive increase in the number of medical practitioners in the country, the profession felt a strong need for an association that would bring all doctors to a common platform which would safeguard, maintain and promote the interests and honor of the medical profession. During this time, when the country was still a British colony, the British Medical Association in London asserted a certain degree of control over the medical profession in the colonies and allowed formation of branches in these countries. On 26th February, 1887, a meeting was held at the Colonial Medical Library in Colombo, marking the first formal step in establishment of the Ceylon Branch of the British Medical Association. 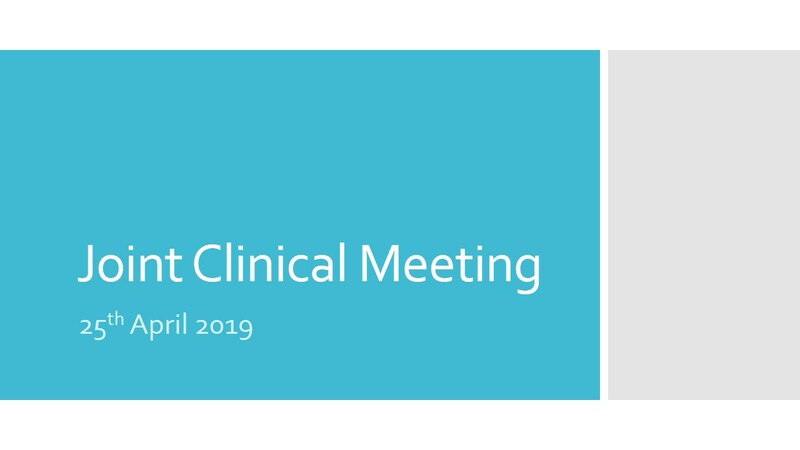 Fifteen doctors, including leading medical practitioners at the time such as Dr. W. R. Kynsey, Dr. J. L. Vanderstraaten, Dr. J. D. Macdonald, Dr. W. G. Van Dort, Dr. W. G. Rockwood and Dr. E. N. Schokman attended this meeting. The branch was officially inaugurated on 17th December, 1887 with the participation of 19 members from Colombo, Kandy, Galle and Kalutara. Although, Dr. W. R. Kynsey was unanimously elected to be the president at the first meeting held in February, he declined the position as he was due to go on overseas leave and proposed Dr. Anthonisz for the position. Hence, Dr. Anthonisz became the first president of the Ceylon Branch of the British Medical Association with Dr. Henry Keegel as the first Secretary. The Ceylon Branch started off with 65 members on the roll and by 1898 the membership had almost doubled with 113 members. It was one of the largest branches in the British colonies. Following declaration of independence, the name of the association was changed as the Ceylon Medical Association in 1951. The association disengaged all connections with the British Medical Association in 1957. The current name “Sri Lanka Medical Association” was adopted, with the promulgation of the new democratic socialist republic. It celebrated its’ golden jubilee in 1937 with Sir Nicholas Attygalle as the President and Dr. E. M. Wijerama as the Honorary Secretary. The Ceylon Medical Journal was started in 1887 under the editorship of Dr. Henry Keegel and it was published quarterly. It was received with much congratulation and appreciation due to previous unsuccessful attempts in establishing a medical periodical in Sri Lanka and the significance of the papers published in it. However, it ceased publication in 1893 and it was revived under the name “Journal of the Ceylon Branch of the British Medical Association” in 1904 by Dr. Albert Chalmers. Thereafter it continued publication uninterrupted and resumed the former name “Ceylon Medical Journal” in 1952. At present, it is the only internationally accepted medical journal in Sri Lanka and it is indexed by Index Medicus in the United States of America. From its’ inception the association was housed at the Ceylon Colonial Library for 73 years and then in the Consultants’ Lounge of the General Hospital, Colombo, for another four years. 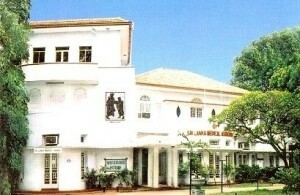 The current location of the SLMA, the Wijerama House was the residence of Dr. E. M. Wijerama and it was donated to the association by him in 1964. He was an eminent consultant physician whose inimitable contribution to the profession as an exceptional clinician, a scholarly historian and a gifted teacher has been personified in renaming the McCarthy Road after him as the “Wijerama Mawatha”. 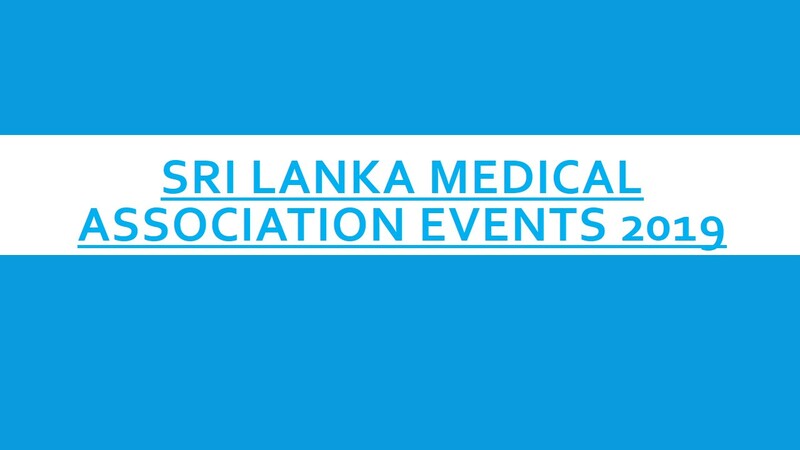 Throughout the history of the Sri Lanka Medical Association many eminent members of the profession have held office and made it grow in to a national umbrella body that brings together all medical professionals across the country. To date, it continues to be the center for dissemination of knowledge with continuous professional development and the focal point of promoting the interests of the profession.